Many pipo go tell you say dis 2018 na bad year for dem. While some oda person go say d year na one of d blessed year. But anyhow e won be, man pinkin go must survive. 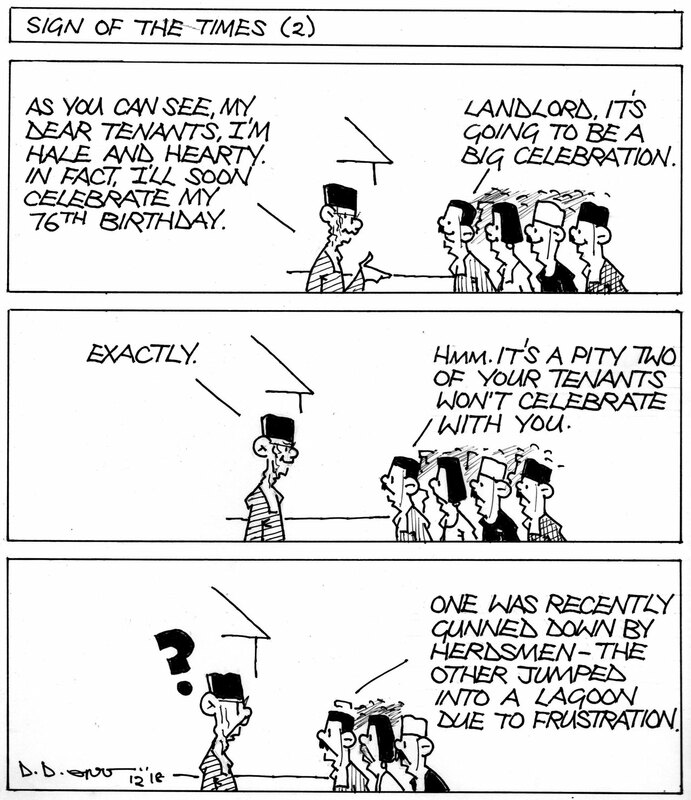 dat why we bring una dis funny cartoon, d tin b say many pipo for naija no fit even pay deir rent again. If no be rent Wahala , e go be insecurity problem for naija. e don tire us sef, we just dey pray say dis country go better one day. abi you sef no go join us pray?